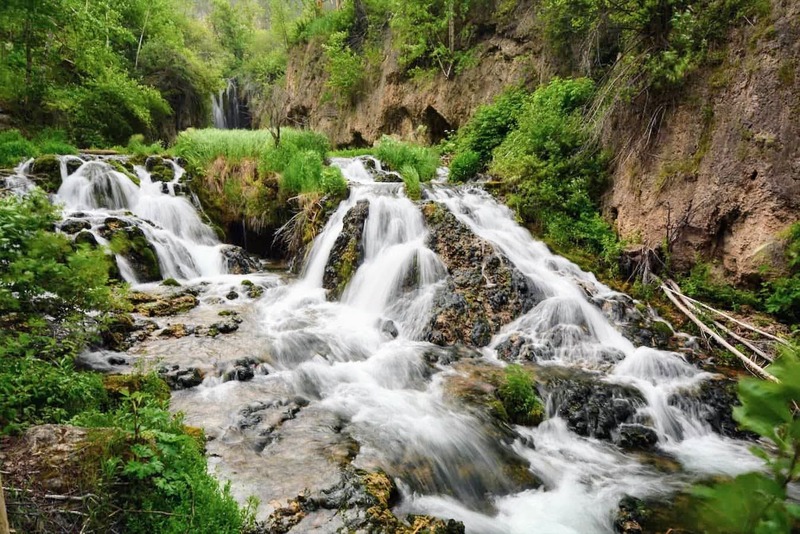 Devils Bathtub is a series of pools along the Squaw Creek in Spearfish Canyon. During our last full day in the Black Hills of South Dakota, we decided to check it out. And we weren’t disappointed. The hike to the tubs was not terribly long. Probably less than a mile. Its a slow incline through the woods. The trail crosses Squaw Creek several times, so its best to have water shoes. The first half of the hike is through woods. (This is the section where the trail criss-crosses the creek, multiple times). Once you get into the canyon, proper, the scenery really becomes dynamite. 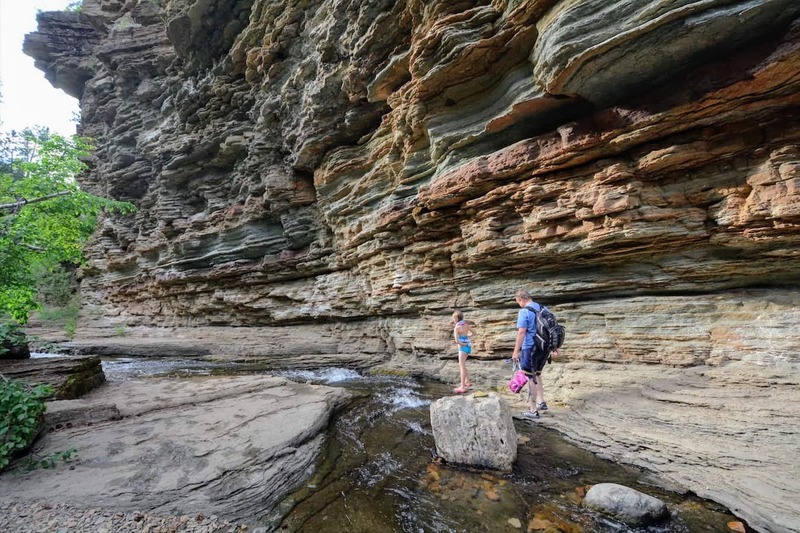 Sheer, and in some places, inverted, canyon walls reveal eons of multi-colored rock layering. There are actually a few different tubs within close proximity. 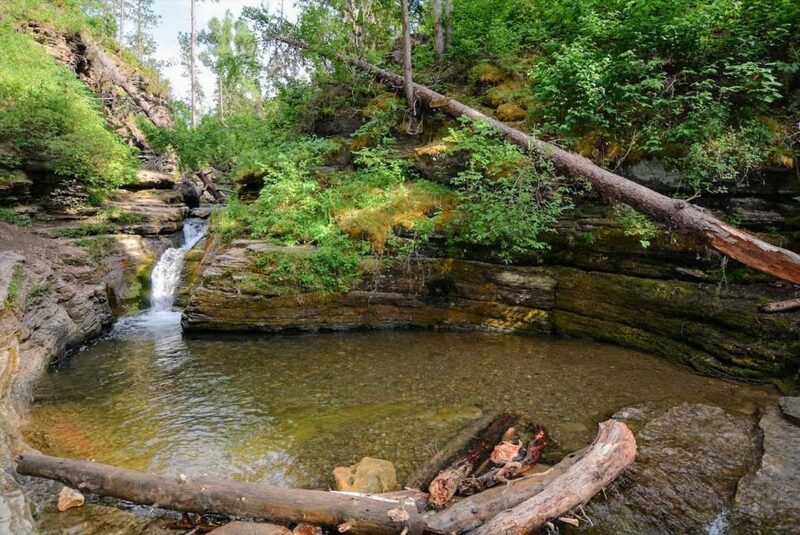 Some offer natural “waterslides” for the kids. Nothing fast or scary. Just novel enough to entertain our 7 and 9 year olds. 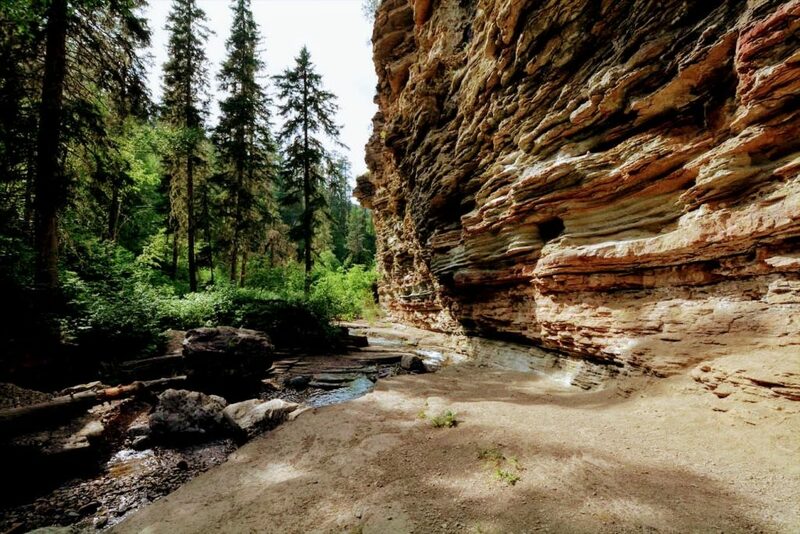 From start to finish, including hiking in and out, we spent about 3 hours exploring Squaw Creek, Spearfish Canyon, and Devils Bathub(s). If you’re planning to be in the area, we highly recommend this stop. Next, we headed about 15 minutes further south along Hwy 14 to Roughlock Falls. 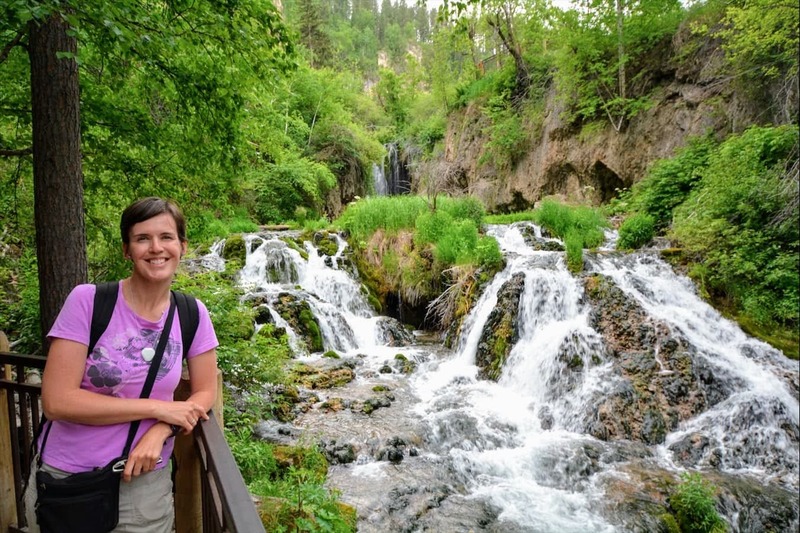 The falls are situated along the Little Spearfish Creek inside Breakneck Canyon Gulch. You can park as soon as you turn off onto Roughlock Falls Rd, and walk up the canyon. Or, if you have less time, drive a little further up the canyon to another parking area that gets you closer to the main falls. In fact, by parking in the top parking area, you can see the falls and a good amount of the surrounding creek and canyon in less than 30 minutes. We love to seek out beautiful waterfalls. Roughlock Falls definitely did NOT disappoint. 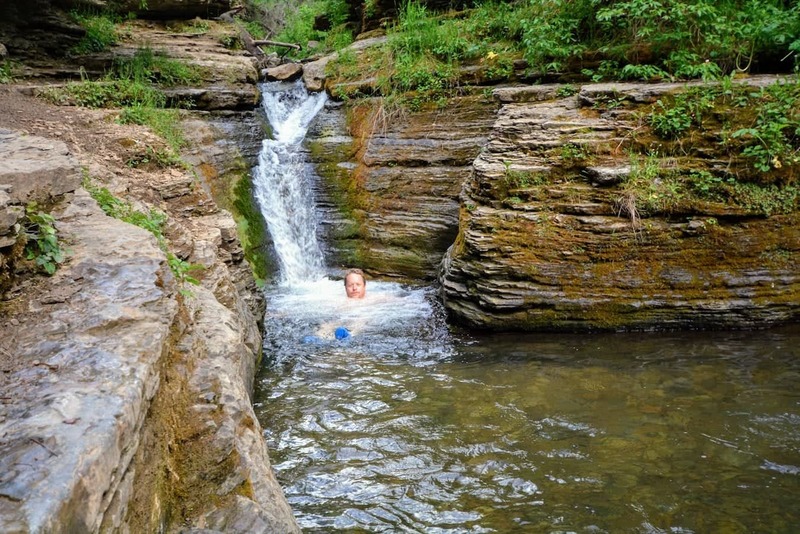 If you get an early jump on your day, you can be finished with BOTH Devils Bathtub and Roughlock Falls before lunch.